Bird red blood cells. 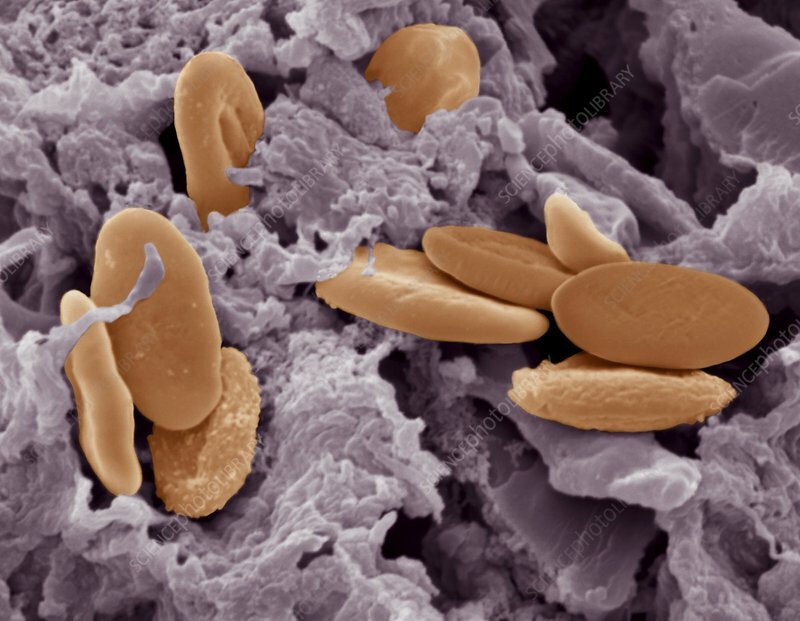 Coloured scanning electron micrograph (SEM) of red blood cells (erythrocytes, orange) in avian heart tissue (purple). These cells contain haemoglobin, a pigment that allows these cells to carry oxygen around the body. Non- mammalian red blood cells (such as avian ones) are oval in shape and contain a cell nucleus (not seen). Human red blood cells are disc-shaped and do not have a cell nucleus.